To begin with your bathroom redesign, we do an in-home consultation so we can get an idea of your personal tastes, your lifestyle, and your bathroom preferences. With all of this in mind, our consultants can help you plan out the bathroom that suits all your needs, whether it’s a power room, a master bath, or a half bath. We draw on our experience to combine your style and aesthetic choices to create a cohesive plan. There are many different options and designs to choose from. Some of the most common focus on updating the bathroom with walk-in showers, higher toilets, and hand-held shower heads. Beautique Home also focuses on long-term appliances, so that you don’t need to update or remodel as you or your family ages. We offer appliances like a curbless and enlarged shower with a grab bar to ensure safety and peace-of-mind. Sinks and countertops of two different heights and cabinets with easy close doors can be installed. Non-slip flooring can also be beneficial, no matter the age, helping create a safe and secure space. If you’re looking for a more luxurious feel or a combination of safety and elegance, we can do that, too. Some of the more popular appliances and designs to create a relaxing bathroom include touch-sensitive facets, mood lighting, and built-in television or music sets. There are even options for towel-warming drawers. 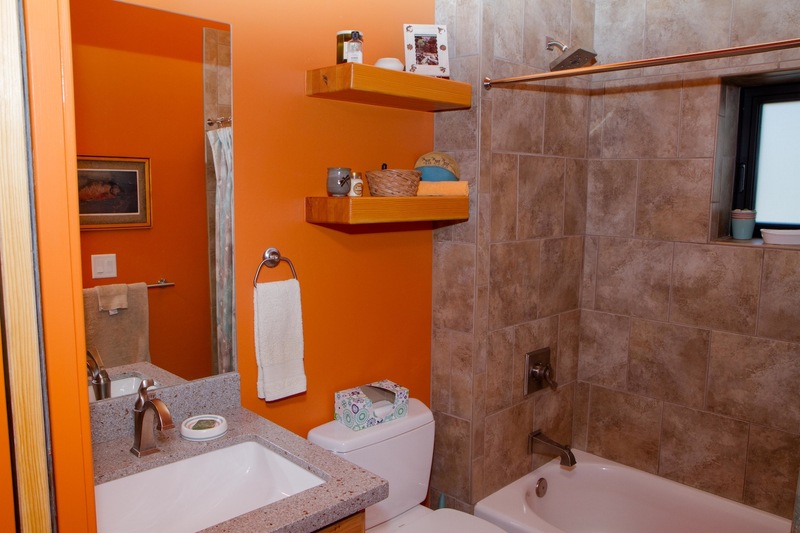 In addition, soaking tubs are one of the most requested remodels. These tubs create a spa-like atmosphere and can be built in several different ways, including free-standing, built-in, or sunken depending on your taste. Something as simple as a soaking tub can give your bathroom a unique and customized feel. After the consultation, we can begin planning the design and layout. This is when we will also discuss the budget you have in mind and give you options that still meet your standards, but don’t add any financial stress to your decisions either. Beautique Home can also manage the smaller details for you, including permits and communication with outside contractors. The electrical and plumbing of your bathroom are also taken into account, so future damage or unrealistic layouts can be avoided. When the building begins, we take final room measurements to ensure accuracy and have technicians that can check for bathroom disturbances, such as mold or dry rot. With your verification of the designs, the construction can begin. You can sit back and enjoy the creative process while we handle the technical details and the contracting. To learn more about the bathroom redesign process and how Beautique Home can assist you with your design decisions, call us at 828-606-1888 to speak with our designers. We look forward to working with you.